Full of Vitamins, Minerals and Bioflavonoids. It is known as nature's “super berry” due to its supreme antioxidant capacity which is higher in antioxidants than Goji berries, green tea and blueberries as it is packed with vitamins, minerals and bioflavonoids. The fresh berries are bright yellow and very sweet when ripe. The health enhancing benefits have been recognized for centuries - global explorers carried the Inca Berry seeds on their travels to ensure a rapid growing, nutrient rich fruit source upon finding land. They are the perfect superfood to have anytime as a snack, with breakfast, with salads, with cooked meals, before or after training. 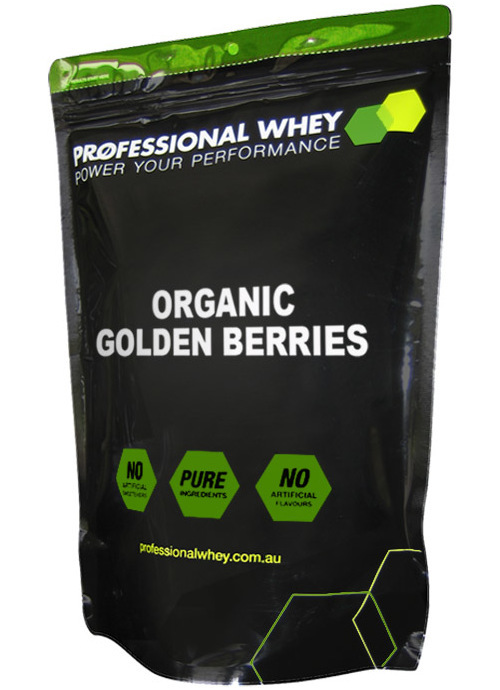 Organic Golden Berries are great to snack on alone or used in combination with a protein shake or even in your cooking. Nutritionally speaking they are a major step up from the relatively nutritional weakling - white grape sultanas. Certainly a distinct and strong taste and a little too strong to take straight in my experience but there are plenty of dishes that a handful of the dried Inca Berries works in and add another dimension of taste too. I love golden berries. For a sustaining morning snack I mix them with several PW organic brazil nuts and walnuts giving me selenium, omega3 and antioxidants - and it's yum! They are a great alternative to sultanas - throw them into home-made muesli instead of sultanas. These awesome berries have saved me. I love their mouthwatering tartness. On their own, with nuts, cereal or yogurt. Why only 4 stars when you are really happy with the product? I think they are a yummy snack because of the not so common flavor of sweet/sour and the fact that they are really healthy..
Great to have as a guiltfree and quick snack in the morning, in the afternoon, before or after the gym. Much better than reaching for a muffin or a chocolate bar! Love the sweet yet tart flavour. Wish there was more in a pack! Full of great antioxidants and vitamins that help keep you healthy. The only reason I've given these berries 4 stars is because they don't last long enough! I have them on my cereal every morning, they add a sweet/bitter taste I crave when I wake up. 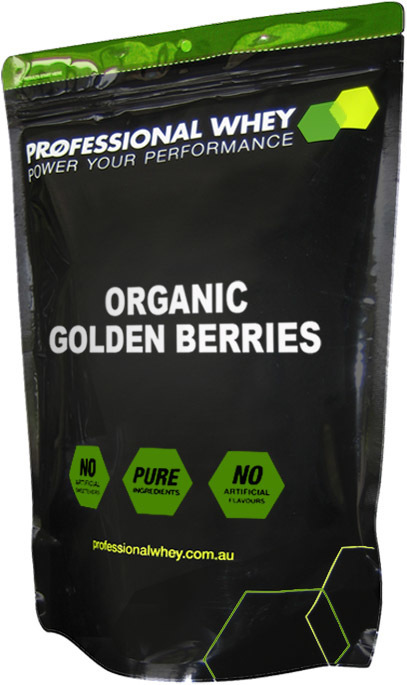 Packed full of antioxidants and vitamins the golden berries do wonders for your health!